Those of you who have motorcycle weather year round make me extremely jealous. Those of you who live in the snow belt and still ride year round are made of tougher stuff than I am. 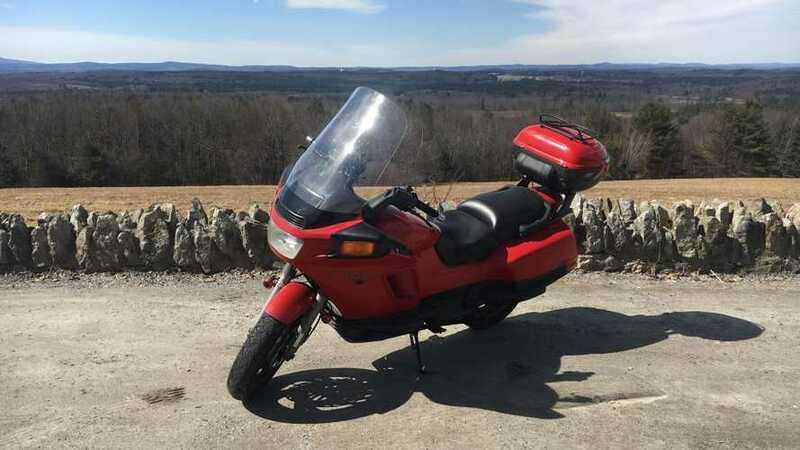 But I, not having ridden since November or so, was thrilled to finally get out on my Honda PC800 for the first time this year. The itch gets to me once the temperature goes back up to 40. My personal low-temperature limit seems to be 45, both for my physical comfort and for tire adhesion. (The New England Riders Facebook group preaches the joy of heated gear, but I have yet to adopt that religion for myself.) Last weekend the temperature touched 50, and after going through the necessary pre-season checks (well, most of them—more on that later), it was time to put on a few layers of gear and hit the road. It felt both liberating and awkward at the same time. Being on a bike is something I live for, and doing it again after such a long break for winter was so fulfilling to my soul. Yet I also felt like a waddling penguin, out of practice from controlling a two-wheeler after that break. I'd already told my wife and stepsons that I would not be taking any passengers on my first ride of the year—not to be selfish, but so I could get a feel for the bike again and be in better control of it before extending any risks to passengers. It was a fairly short ride, but it was long enough to get my legs under me again. I took back roads to a scenic overlook in Harvard, Massachusetts, a favorite spot of both RideApart's Kate Murphy and me. The ride was calming, relaxing, and made me feel like I was waking up from winter hibernation. I passed several other bikes whose riders had the same idea. We exchanged waves all around. When I arrived at the overlook there was another rider there with what looked like a brand new Honda Monkey. I was more right than I knew, since talking with the rider revealed that he had just bought it the previous day. We chatted a bit, compared the Monkey to the Grom, and he showed me how the Monkey's LCD gauge cluster literally winks at you when you turn the ignition on. Upon hearing that I ride a PC800, he was just as curious about my bike as I was about his, so I gave him the grand tour. It was then that he pointed out a screw that had lodged itself in my back tire. As you might observe, the tread on this tire is also pretty much non-existent. This is a flagrant violation of Kate's advice. 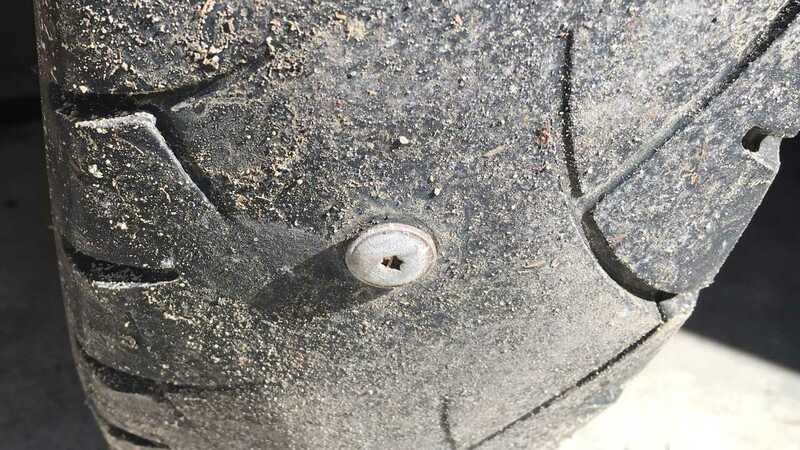 I will say that I have two new tires just waiting for me to pull the wheels off my PC to get mounted, the roads were completely dry at the time of my ride, and no cords are poking through. It's not good, but I just couldn't resist the first ride of the year. I have a patch kit, but the tire still held air, so I left the screw in and carefully took the most direct route home. There's no point in patching a tire I'm just going to replace in a few miles anyway. I made it just fine, and I've parked the bike since then. The weather got cold and rainy anyway. It won't be long before frequent biking weather arrives in New England, though. It's time to get those new tires on. And then it's time for a new season of fun, particularly since I'm moving to a part of New Hampshire surrounded by some of my favorite riding in the area. It's time to rock and roll.